The author of this article Choo Shinn Chei is one of the members of Presidium, Sahabat Rakyat Working Committee. This article was originally written in Chinese language and published on Sahabat Rakyat's blog on 12 September in Choo's personal capacity. In order to fill up the vacancy of a Mandarin speaking speaker in the forum in commemoration of the 15th Anniversary of Sahabat Rakyat entitled “Differentiate between ally and enemy, bury UMNO hegemony” held at Crystal Crown Hotel, JB on 25 September 2016, the forum organising committee arranged Choo Shinn Chei to present his basic view points in this article at the forum. The picture above was taken during Choo Shinn Chei's speech at the forum. In the case of any discrepancy between the English rendition and the original Chinese version, the Chinese version shall prevail. UMNO-led BN hegemonic rule is the root cause of the miserable living conditions experienced by the petty bourgeoisie and working masses of various ethnic groups in our country. Hence UMNO hegemonic ruling clique is the main struggle target of the people of all ethnic groups. During the period 2008-2015, the political struggle for democratic reform against UMNO hegemony was led by Pakatan Rakyat (PR) comprised of Parti Keadilan Rakyat (PKR), Democratic Action Party (DAP) and Pan-Malaysian Islamic Party (PAS). However, PR which claimed itself as the representative of people’s will against UMNO hegemonic rule did not adopt the demands of the struggle of the oppressed people, not to mention developed consensus of democratic reform agenda. At the end, PR split on the issues of Syariah Laws made use by the UMNO hegemony to divide the people of various ethnic groups. The political split and restructuring within the ruling clique and within the oppressed people of the country came to a turning point in 2016. The Mahathir and Muhyiddin represented UMNO interests group formed Parti Pribumi Bersatu after losing influence in the partial split occured within UMNO ruling clique. Mahathir seems to be the dominant figure in the struggle against BN since the release of “Citizens’ Declaration” until uniting the opposition parties to fight against BN in the coming General Election (GE). On the other hand, the struggle line of PAS was overturned ever since the pro-UMNO conservative faction led by Hadi Awang took full control over the party’s leadership. They gave up the idea of overthrowing UMNO hegemony, they are now keen on joining hands with UMNO hegemony to promote the state islamization agenda. Not long ago, PAS joined force with Parti Ikatan Bangsa Malaysia (Ikatan) to form Gagasan Sejahtera in preparation of the coming GE. In the past one year, Parti Amanah Negara (PAN), founded by the progressive faction of PAS formed a new coalition, Pakatan Harapan (PH) together with PKR and DAP. Some of the key leaders in PH attempt to fight against Najib by working with Mahathir after PH suffered defeats consecutively in the Sarawak state election and two by-elections of parliamentary seats in the peninsula. Regardless of how the situation evolves, the political split and restructuring during this period will yield symbolic results in the coming GE. NGOs should now learn the lessons based on the setbacks experienced in the previous phase of democratic reform especially from the split and disintegration of PR. NGOs have to demonstrate their independent and autonomous character, and recognize the meaning of state Islamization in the perspective of opposing UMNO hegemonic rule. Then NGOs will need to put forward the agenda of opposing state Islamization as a significant content of the current phase of democratic reform in our country in order to re-strengthen the force to fight against the UMNO hegemonic rule. The fact shows that state Malayisation has been promoted thoroughly by the UMNO hegemonic ruling clique till a Malay racist system has ultimately been established. Through the implementation of racist policies such as the FELDA projects and Bumiputra economic system, state Malayisation enables UMNO hegemonic ruling clique successfully divert the attention of the Malay middle and bottom class masses for a long period of time in order to hinder their political awareness and cheat for their blind supports. The racial conflict intimidation card is also played by the UMNO hegemonic ruling clique so that the oppressed ethnic communities including the Chinese and Indians whose ethnical rights are fully violated feel fearful and frightened whereas their community leaders abjectly surrender to the ruling clique. “Suqiu” incident of Chinese associations in 1999 is a typical example. State Malayisation has been the main means employed by UMNO hegemonic ruling clique to divide and rule the people of various ethnic groups since 1970s. It serves as an important component of their ruling strategy. As a response to the development of state industrialization in the 1980s, urbanization of the Malay society and improvement of the general education level, as well as the uprising of the Islamic Revivalism and the gradual expansion of PAS at the east coast, the state Malayisation agenda was pushed towards state Islamization rapidly by the Mahathir-led UMNO hegemonic ruling clique. Its significant meaning to the UMNO hegemonic rule to parade UMNO as a party that not only defends the Malay community, but also defends the Muslim community. In addition, UMNO masters the right to speak and govern about Islam via taking control over the regime. Mahathir solicited Anwar for the Islamization of government machinery which refers to but not limited to the implementation and development of Islamic values in the laws, finance and education sectors including the establishment of Islamic banking, Islamic insurance, Islamic stock index (debenture, unit trust, shares), International Islamic University, Islamic medical centre, upgrading the Islamic bureucracy and developed a foreign policy oriented to the Muslim world. Two autonomous jurisdiction systems, i.e. the secular and Islamic have been created. With the scope of the secular jurisdiction being continuously eroded by the state Islamization drive, the secular state nature of our country is under threat. On this basis, Najib launched the Malaysian Syariah Index in February 2015 so that the governance of the eight major areas namely law, politics, economy, education, culture, infrastructure, environment and social are in compliance with the Syariah requirements. He is keen in implementing the Islamic law in full. Besides, Najib has called for the supports from the ulamas in developing Islamic administration system and also in implementing the fair and equitable distribution of wealth. The implication of state Islamization in a multi-ethnic and multi-religious society is the marginalization of all the non-Muslims. It is the manifestation of double oppression ethnically and religiously. Long years of state Islamization has resulted in the dissatisfaction of the non-Muslim communities. The Hindraf’s struggle to defend the interests and rights of the Hindu communities was one of the products of the dissatisfactions. In order to achieve the same effect of ruling strategy like the state Malayisation, the “religious conflict” intimidation card has been used by the UMNO hegemonic ruling clique. It was seen in the typical example of “Allah” wording controversy in 2014. UMNO hegemonic ruling clique’s attempt of suppressing the rights to freedom of beliefs and religions of the non-Muslims is to force the non-Muslim communities to accept the fact the Malaysia is an Islamic state and to succumb to the superior position of Islam among others in our country. It is the premeditation of the UMNO hegemonic ruling clique to divide the Muslims and non-Muslims from unity so that it can strengthen and prolong its rule. All in all, the state Islamization serves as an important strategy of the UMNO hegemonic ruling clique to consolidate its ruling position by dividing the people across ethnic groups. Its ruling position will get even consolidated with state Islamization policies that are more intense. To oppose the UMNO hegemonic rule, one has to oppose the UMNO hegemonic ruling clique from Islamizing the state and oppose every concrete policy of the state Islamization. Any political party or individual, who fights for the interests of people of all ethnicities, has to expose the plot of UMNO hegemonic clique to Islamize the state, and safeguard the rights of both Muslims and non-Muslims communities, so that the people of all ethnic groups would unite from divide to form an unbreakable strong force to complete the task of burying UMNO hegemonic rule. We have reason to believe that any political party or individual, who claims to oppose UMNO hegemonic rule, but does not oppose state Islamization or even supports it, actually does not genuinely want to bury UMNO hegemonic rule. They just want to take over the throne from the UMNO leaders then continue the ruling strategies of enslaving and oppressing the people. The main content of opposing state Islamization in our country is opposing the laws and policies implemented by the UMNO hegemonic ruling clique whose guiding ideology is to materialize Islamic doctrine that will affect all aspects and levels of the daily lives of non-Muslims. In other words, the state Islamization is a forced assimilation process of the government using Islamic doctrine against the non-Muslim people. Its main feature is the government acts on behalf of the will of the Islamic doctrine to impose the religious doctrine forcefully on the people of all ethnicities and beliefs of the entire nation with an ultimate goal to establish an Islamic state. On the other hand, anti-Islam means the denial of the existence of Islamic religion in Malaysia and the right of anyone to believe in Islam. A simple example of opposing state Islamization is disagreement of government in regulating the non-Muslims to wear according to the Islamic doctrine when entering the governmental offices. On the other hand, an example of anti-Islam is calling for the government to ban anyone from wearing according to the Islamic doctrine when entering the governmental offices. Obviously, oppose state Islamization is totally different from anti-Islam. One opposes state Islamization genuinely respects Islam as one of the religions being practiced by the people and wishes Islam as a religion that respects different beliefs and religions of others. Anti-Islam is a position to create religious strife and violate human rights. On the contrary, oppose state Islamization is a position to maintain religious harmony and uphold human rights. In the era of globalization, anti-Islam means deeming the whole Muslim world as enemy. This is an absurd and seriously undesirable attitude, and is absolutely no shelter in the Malaysia society with Muslims has all the while been the majority population. This is different from opposing state Islamization where one opposes state Islamization merely opposes its instigator, i.e. the UMNO hegemonic ruling clique and those main leaders of PAS who recently promotes Hudud law in Kelantan. This is especially relevant when a scholar, Farouk A. Peru described that the tendency of Islamofascism in form of systematic oppression is manifested politicially in Malaysia (Note 1). Although opposing Islamization began with initiative to safeguard the rights and interests of non-Muslim masses, its significance lies in the fight against the ruling UMNO hegemonic clique to prevent the rise of fascism and the country from headings towards religious totalitarianism. The Muslims’ rights remains intact in this struggle. In essence, oppose state Islamization is beneficial to all the people being ruled in Malaysia including the Muslims and non-Muslims. State Islamization which comes with dominant policy thinking only based on a particular religious doctrine, is clearly in violation of the reality that the Malaysian elected goverment shall represent the people of all ethnic groups and religions, and therefore will be opposed by the non-Muslim communities. 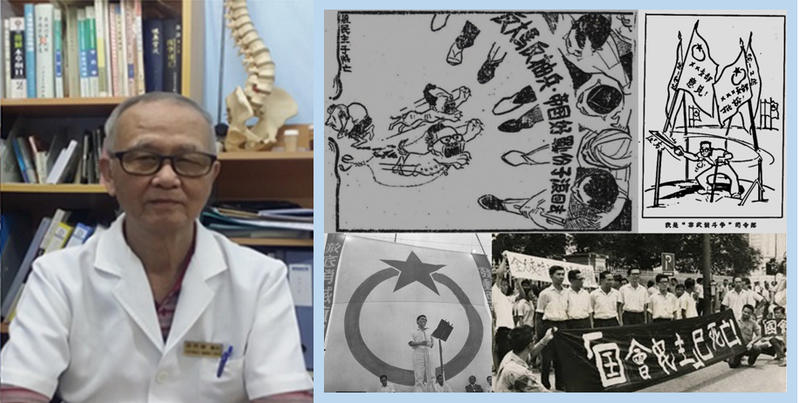 The rationale of opposing state Islamization is in line with the proposotion of the Chinese and Indian communities in opposing the UMNO hegemonic ruling clique which only focuses on National School and discriminates SRJK(C) and SRJK(T). They oppose the government which diverts the resources from people of all ethnic groups but centralizes in the development and promotion of the Islam and the interests of its followers, while ignores even discriminates, oppresses the other beliefs and religions and their believers. Therefore, oppose state Islamization is essentially to defend the representation of the interests of the non-Muslim communities in the people-elected government, to safeguard the religious freedom rights of the non-Muslim masses, and maintain equal relationship of mutual respect among religions. This is definitely conducive to the long term harmony with one another in a multi-ethnic and multi-religious society. The feature of state Islamization that vastly violates the principles of democracy and human rights spirit is, only a few priviledged individuals who are so-call proficient in Islam predominate the power of discourse in any policy throughout the process of policy making from the proposal to implementation, under the shield of religious doctrine. In the specific case where Hudud law is being pushed forward by PAS leaders in Kelantan, ordinary Muslims are regarded as ought-to-be-supporters whereas non-Muslims who are considered as non-fluent in Islam should not hold any dissent. Even if laws of state Islamization are enforced through the democratic process of parliamentary majority, these laws will be resolutely resisted by non-Muslims by all means. Individuals who truly defend the rights to freedom of religion, including Muslims will not agree and support these laws too. This is in view of the fact that society in Malaysia is made up of various ethnic communities and religions. 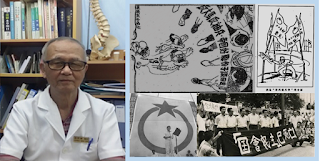 At the current stage, all political parties and NGOs flaunting the banner of democratic reform should face the issues of state Islamization, the secular state status of Malaysia and demands of the oppressed ethnic communities for rights to freedom of religion squarely. The threat of the secular state’s character in the Federal Constitution being intentionally deteriorated is no longer a secret. UMNO hegemonic ruling clique will never stop the process of state Islamization in our country as long as it is beneficial for them to stay in power. For the non-Muslim community, state Islamization in our country has reached an extremely stern moment. Hudud law pushed forward by PAS leadership in Kelantan will be the first to constitutionally breach the secular state nature of our country. There have been some non-Muslim communities fighting to uphold the equality of rights to belief and religion respectively in the past. Hindraf struggle was one among them, which once yielded enormous political influence. Now more non-Muslim organized forces will be gradually mobilized to oppose the implementation of Hudud law. NGOs with the position of serving the people will realize that the moment has come to put forward the issue of state Islamization as an urgent agenda. The struggle to oppose state Islamization will serve the purpose of opposing UMNO hegemonic rule, as state Islamization serves for UMNO hegemonic rule. NGOs must treat each and every law and policy of state Islamization that infringe the rights and interests of non-Muslims specifically and fight for the legitimate rights of non-Muslims, with resolute stand in opposing state Islamization. This will bring about the rises of many mass struggles against state Islamization policies, in which will finally be united as a strong mass power against state Islamization. Mean while, NGOs must explain the essense of state Islamization in the aspect of laws and policies and demands of the non-Muslim masses to Muslim masses, in order to strive for the understanding and support of Muslims. Even though the Muslim masses are temporarily hoodwinked, with the worsening of UMNO hegemonic ruling’s corruptness, they will soon realize that UMNO hegemonic ruling clique is the main struggle target of the people of all ethnic groups in our country. NGOs must emphasize that opposing state Islamization is not anti-Islam but opposing the UMNO hegemonic rule. Thus, a united front will be gradually formed by people of all ethnic groups and religions opposing state Islamization. This united front will launch a powerful struggle against UMNO hegemonic ruling clique. The internal contradiction of UMNO ruling clique was gravely intensified when the anger to spurn UMNO hegemonic rule was roared by people of all ethnic groups in our country in the past two general elections. Najib, who has fallen into dire straits due to continuous economic downturn and various scandals swirling around him, will make full use of the ruling strategies, namely the state Malayisation, state Islamization, guise of parliamentary democracy and fascist repression to extricate all kinds of internal unrest and external invasion. With the notable cooperation of PAS leadership, UMNO hegemonic ruling clique will undoubtedly push forward state Islamization more comprehensively. It can be foreseen that more non-Muslim masses will join in to oppose state Islamization. On 26 May 2016, instigated by UMNO ministers and MPs, the Parliament gave greenlight to PAS president Hadi Awang to table his Private Member’s Bill motion aimed at convoying the implementation of Hudud law in Kelantan for debate. It was later asked by Hadi for the Bill to be deferred to the next parliamentary meeting in October. Again, it was inevitable for all democratic political parties and NGOs to face the question of whether to support state Islamization. The current phase of democratic reform in our country should adhere to the demands of people of all ethnic groups and religions instead of repeating the same mistakes and not learning the lessons from history. In face of the UMNO hegemonic ruling clique that carry out state Islamization as their main ruling strategy, the main demand of struggle of the oppressed masses, especially non-Muslims, is opposing state Islamization. Therefore, leaders of the democratic reform movement must look upon opposing state Islamization as the main content of democratic reform at present. We hope that DAP carry on their role to represent urban petty bourgeoisie and working class masses, and to continue the fighting spirit of late Karpal Singh to unequivocally oppose Malaysia to become an Islamic state and resolutely oppose state Islamization. We look forward to PKR and PAN with Malays-based masses to face the reality where rights of the non-Muslim masses are being violated by state Islamization squarely. We look forward for their support in the struggle of the people of all ethnic groups to oppose state Islamization, demand for ethnic equality and rights to religion to serve the struggle against UMNO hegemonic rule. (1) All NGOs must demonstrate their independence and autonomous character to proactively put forward the demand of non-Muslim masses in opposing state Islamization as an important content of the struggle against UMNO hegemonic rule at present. Opposition parties (at the federal level) leaders must be urged to response. Finally, NGOs must strive to put forward the position to oppose state Islamization as the main content of democratic reform at present. (2) Leaders of the main oppostion parties should unite all other political parties that oppose UMNO hegemonic rule such as Socialist Party of Malaysia (PSM), as well as NGOs representing voices of different communities, particularly NGOs that struggle for basic rights of non-Muslim masses, including: Hindraf, who should not harbour any illusion about UMNO and continue to fight for rights of ethnic equality and rights to religion of the Hindu community; NGOs in Sabah and Sarawak that fight for rights to self-determination and rights to freedom of religion; Chinese education leading organizations such as Dong Zong that are not supposed to entertain any illusion about leaders of UMNO-BN and fight against policies that carry forward assimilation of mother-tongue education. Together we shall form a broad democratic united front with the aim of burying UMNO hegemonic rule. (3) Finally, we believe that as long as all political parties and NGOs respect each other on equal ground regardless of differences in strength and sincerely work together on the basis of seeking accord while containing differences and “everybody has a say”, the democratic united front will definitely grow in strength to realize the people’s aspirations to bury UMNO hegemonic rule. Note 1: The original quote is “In Malaysia, Islamic discourse is currently reflecting a tendency towards a singular truth. Moverover, this tendency manifests itself politically as systematic oppression. We term this strand within the Islamic tradition as ‘Islamofascism’. In Malaysia, perhaps the most overt example of Islamofascist tendencies is the restriction of the use of the word “Allah” by Christians. This word is deemed the sole property of Muslims and its use by non-Muslims is said to be corruptive to Muslims and may cause them confusion. Other examples of Islamofascist tendencies is the action by Islamic courts to legitimize the abduction of children by parents who had recently converted to Islam, that is converting after their marriage and starting their families with non-Muslim spouses. These policies reflect an attitude which supports a singularity of truth – that of an ultra-puritanical Sunni Islam.” Farouk A. Peru, “Understanding Religious Pluralism”, in “Breaking the Silence – Voices of Moderation: Islam in a Constitutional Democracy”, at pg. 175.